VP For Ossory Area is Linda Ward. 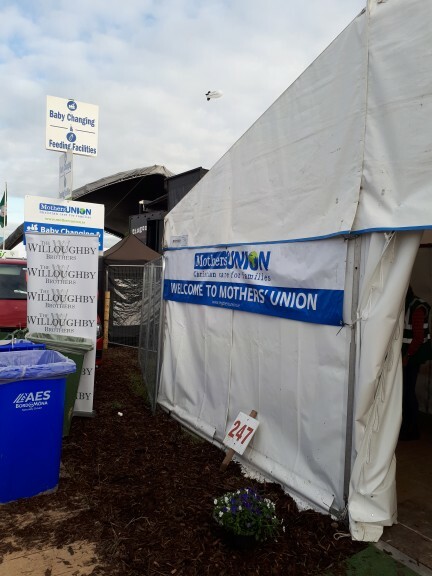 Linda has been to the fore in helping to organise The Baby Changing Facilities at The Ploughing Championships both when it was hosted in our United Diocese, with the help of Rosaleen Walsh, and helping out Meath & Kildare when they hosted it over the last couple of years. The Baby Changing Facilities are greatly appreciated by families with babies and toddlers who attend the ploughing as it provides them with a clean, safe environment in which to feed and change their child/children. Linda in her role as VP also organises the Area Meetings for Ossory Area and the Annual Vigil for The 16 Days of Activism against Gender Based Violence. The 2016 Vigil was held in Kilkenny and the 2017 & 2018 Vigils took place in St. Laserian's Cathedral, Old Leighlin. Toiletries are collected at the Vigils and distributed to local women' refuges. 9th May 2019 @ 8p.m. Suzanna Crampton, Farmer/Author and much more from Bennetsbridge was the guest speaker at the Branch October meeting. She spoke about her busy life on the farm looking after her flock of Zwarbles sheep, how their wool is used to make blankets and wool, and about her recently published book where her cat "Bodacious" is the star. In December the Branch travelled to Johnston Garden Centre for some seasonal retail therapy ~ everyone had a very enjoyable day. The January meetingwas held in Wandesford Hall on Tuesday 8th when the guest speaker was Cynthia Clarke. 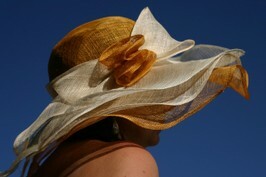 Cynthia gave an interesting talk about hats, with numerous styles and shapes on display . 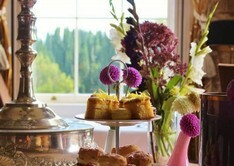 The Branch held their "Vintage Tea Party" in February and the committee provided delicious refreshments for everyone. Colin Phillips (Compass Physio) was the guest speaker at the March Meeting and her gave a presentation on the importance of exercise and a routine that can be followed at home. Kilkenny Branch also decorate a tree for the Christmas Tree Festival that is held in St. Canice's Cathedral every December. Some members of Kilkenny Branch are pictured on the left with their Christmas tree for the 2017 Festival. 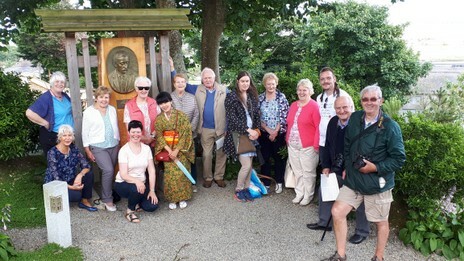 Kilkenny had their Mothers' Union Tour to Lafcadio Hearn Japanese Gardens in Tramore in June. Kilkenny Branch held their opening meeting for 2018/2019 on September 19th in the Cathedral Chapter Room. 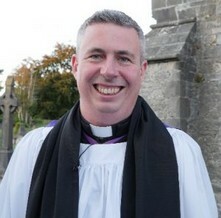 The guest speaker for the meeing was the newly appointed Dean, The Very Revd. David MacDonnell. The October Meeting of the Branch was held in St. Canice's Library and included some practical demonstarations by Betty Payne on maintaining flexibility and mobility. 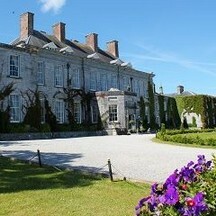 Kilkenny Branch kindly hosted the Trustee Meeting on 23rd October. 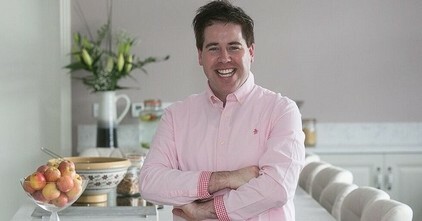 They served up a delicious meal in the Deanary and we are very grateful to the Dean for hosting us there. The Trustee Meeting was then held in St. Canice's Library. Mountrath Branch had a demonstration on card making and decorating candles by Edwina Cuddy at their November 2017 meeting. In April 2018 the branch had a very informative talk given by Bernadette Cass from the Health Shop in Portlaoise.